Marja van Putten is a Dutch visual artist living in Amsterdam and working in Oude Niedorp (NH). 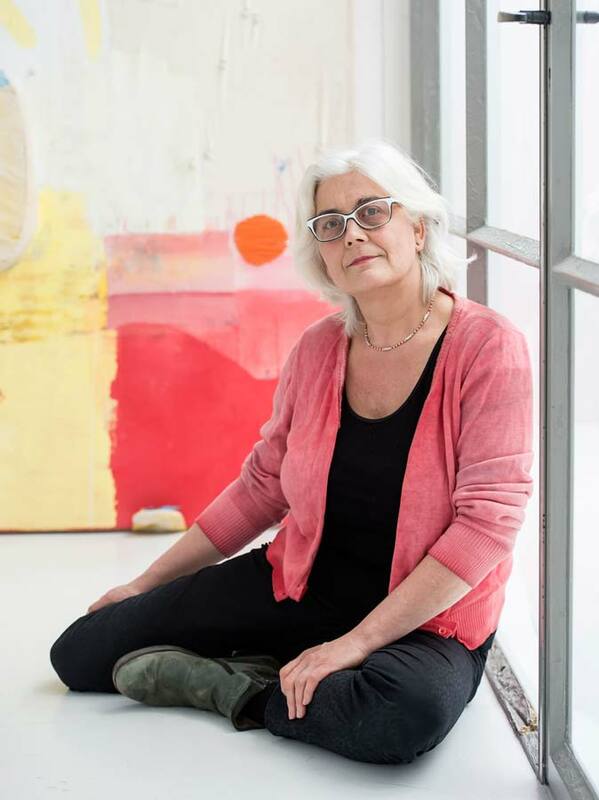 She is a contemporary critical painter, who connects paintings with other media: textile, c-prints and site-specific works. Her main focus is to tackle the icons and well known images of the western art history and the underlying ideas. On her canvases she uses all kind of images and content matter, related to different periods of time, art historical references, personal associations and places on earth. She organizes art projects like Schwarzmalen.nl and digt-paint.nl. She publishes her own Magazine ‘MARI/JA’. Besides her art practice, she owns a company for webdesign & grafic design, Arttrust. She is the initiator and member of the board in the Foundation DKB, Stichting Digitaal KunstBeheer, which aims the digital preservation of oeuvres from artists that passed away. They also offer services for relatives. She has been an assistant for more than 20 years for the sculptures of Armando, who just died last july 2018, including huge size bronze sculptures. There is a ‘bit’ more! Interested to see more installations, older works, books & magazines, etc. ?